Our Beginners BJJ Program is designed to teach people with no prior experience the fundamentals of the art of Brazilian Jiu-Jitsu. The class will warm up for about 7 minutes. The instructor will pair the students together with someone at the appropriate size and skill level. 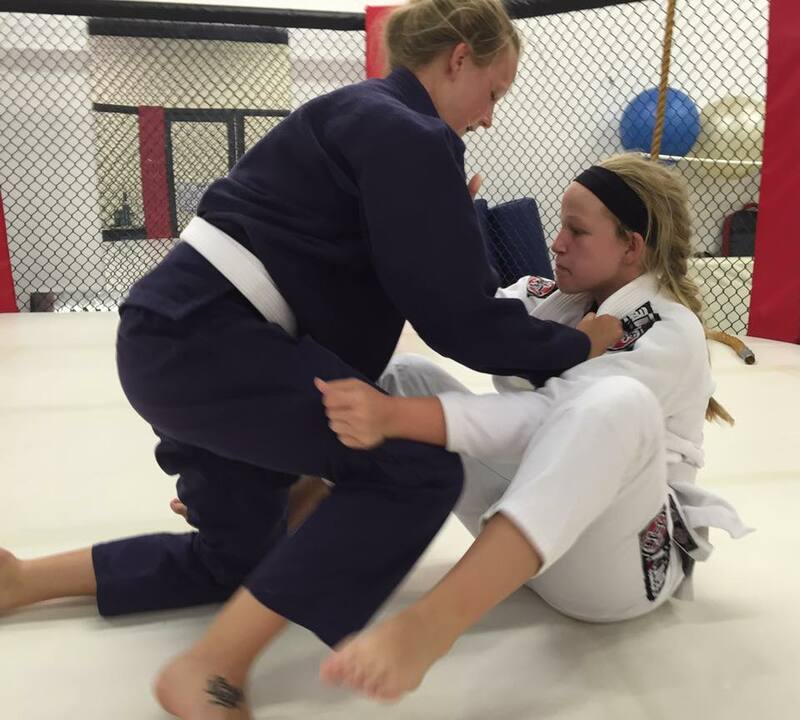 We spend 10-15 minutes working self defense techniques or takedowns. 15-20 minutes working on ground techniques (Controlling, advancing and escaping positions, Applying and defending submissions.) 8-12 minutes of positional wrestling. New students are individually guided throughout the class. We know that people can be nervous about what to expect when trying something new like a martial art. Our goal is to keep the students comfortable so that they can always be in the state of mind to learn. You will NOT have someone trying to beat you up and tap you out while you struggle to figure out what is going on. You will have a training partner working with you to get a basic understanding of what to do in every one of the positions that we cover in class. 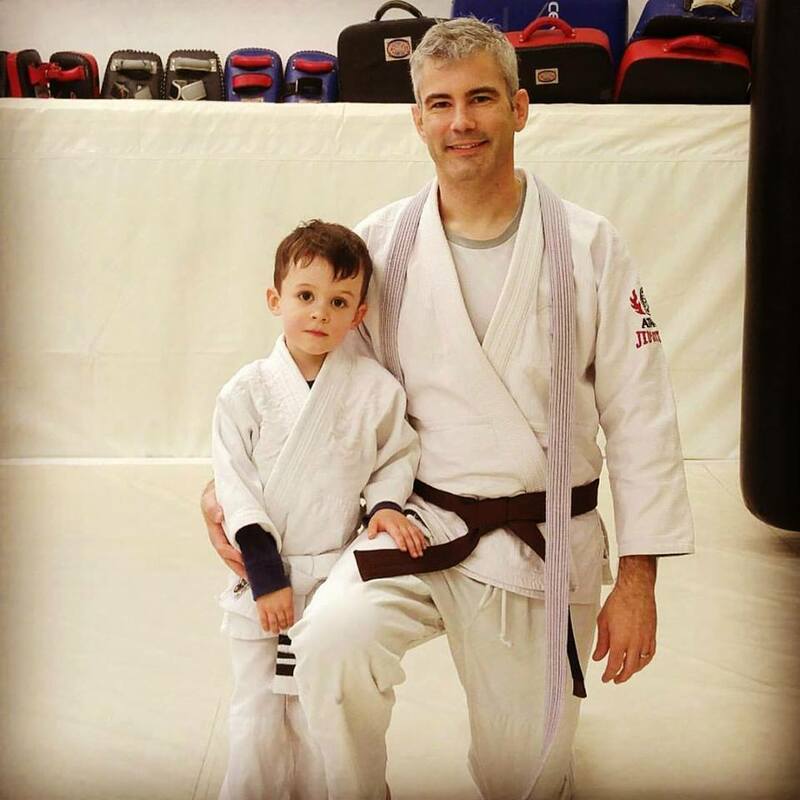 You are NOT too old, too big or too small to start BJJ. You do NOT have to get in shape before starting class. Our beginner’s classes are made up of all types of people. On any given class we have about 10 people in their 40’s and 50’s on the mat training with one another. We have women as small as 100 lbs and people that are overweight by more than they would like to admit! You WILL get in shape if you start training. What to wear/bring to your first class: Just make sure you have a clean tee shirt to wear under your Gi. You will be given a Gi (Traditional martial arts uniform) when you sign up for the trial. We have a water fountain in the training area but feel free to bring a water bottle or sports drink.